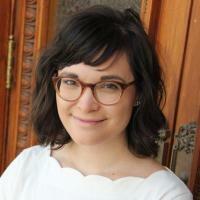 Erin Zoutendam is a PhD student in the Graduate Program in Religion. Her major area of interest is church history, with a particular focus on medieval women, medieval and early modern mysticism, and the history of scriptural interpretation. She holds a ThM from Western Theological Seminary, an MTS from Calvin Theological Seminary, and a BA in French and English from Hillsdale College. She is also the winner of the 2017 Goodwin Prize for Excellence in Theological Writing.